"It was a fabulous night and very successful in raising funds to purchase equipment for Mona Vale Hospital's Rehab Unit." Simon Dunn - President, Mona Vale Chamber of Commerce, told us on Saturday. The highlight of the evening was an announcement by the Hon. Rob Stokes, MP for Pittwater, that an Inpatient Palliative Care Service for Mona Vale Hospital will be realised. Early in 2015 a committee was formed with Parry Thomas, Eileen Gordon, Gail Carew, Pittwater Councillors Kylie Ferguson and Kay Millar, Lindsay Godfrey of Pittwater Council, Andrew Johnston from Rob Stokes’ office, and Yvonne McMaster, the renowned Palliative Care physician who works so hard for Palliative Care as well as people from Hammond Care. “ What we need, and what has always been the aim from the beginning, was to have our own inpatient palliative care beds at Mona Vale Hospital. What has happened is, although thousands of people have been cared for within the community, in their homes and the care is excellent, if they’ve needed specialist hospitalisation they have had to go to Greenwich. The distance is tyrannical as it’s a time of life when families want to be together but the distance and the lack of reasonable public transport to get there has been quite distressing for people. We’ve always wanted to have our own specialist in-bed facility, and it is a specialist facility, at Mona Vale Hospital. In the middle ‘90’s we presented a special pea for this and were given a 12 bed Hospice but the government changed and with it a change of mind. It was taken away form us. Quite recently the Northern Sydney Health District appointed Associate Professor Richard Chye to do an in-depth assessment of the need for Palliative Care throughout the Northern Sydney area. Coincidentally this was at the same time we formed the working group to lobby for this facility at Mona Vale. We actively lobbied that Mona Vale Hospital get a 15 to 20 bed facility. We are awaiting the imminent decision. We understand there was a recommendation that we have a facility but we won’t know for sure until official announcements are made and Associate Professor Chye’s assessments are made available. Rob Stokes announced at a few weeks ago that the New South Wales Government is allotting some recurrent funding to align with any recommendations made in the assessment. 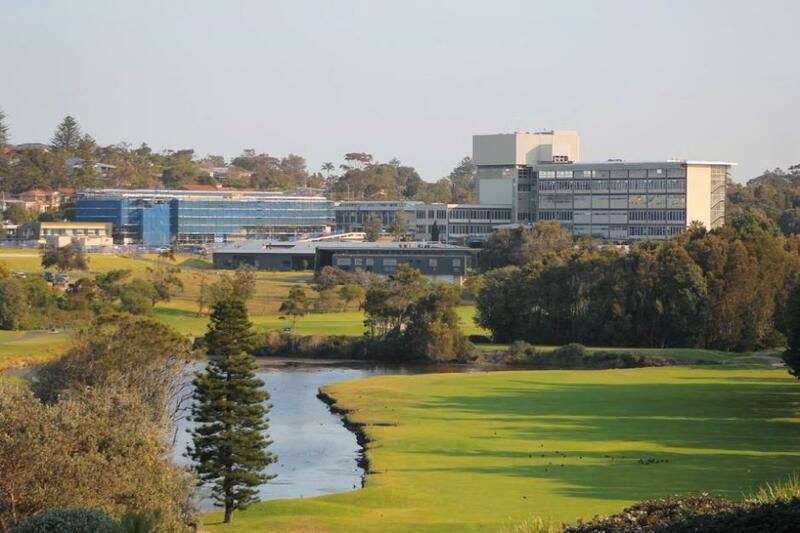 It is now up to Council of the Northern Sydney Health District to determine how the Palliative Care facilities are going to be allocated throughout the Northern Sydney Area. As part of transforming and modernising Mona Vale Hospital, planning has commenced for the development of a dedicated inpatient palliative care unit. “I’m very pleased to announce that planning has commenced for an inpatient palliative care service as part of the future vision for Mona Vale Hospital,” said Local Member for Pittwater Rob Stokes. “The northern beaches is currently without a dedicated inpatient palliative care unit - so this new service will help offer greater convenience for local families during extremely challenging circumstances. “This is all part of the ongoing work to bring specialist and high level medical services to the northern beaches and help reduce the need for local residents to travel to other parts of Sydney. Planning for the new palliative care service follows on from a report examining the Palliative Care Service needs of Northern Sydney undertaken in 2015. It also demonstrates the continued commitment to transform Mona Vale Hospital to ensure that it offers the community exceptional health care services long into the future. Mona Vale Hospital’s role will transform post-2018 when its focus will shift to sub-acute, community health, urgent care and primary care services in order to complement the acute care to be delivered at the new level-five Northern Beaches Hospital. We spoke to 2015 Pittwater Woman of the Year and President of the Friends of Northern Beaches Palliative Care Jo-Anne Steeves on Saturday regarding this announcement.
" This has been part of the vision ever since Dr John Doran founded the service in 1989. It will bring to completion total local Palliative Care services, on the Mona Vale Hospital campus, for people from Palm Beach to Manly and from the ocean to the Roseville Bridge. It will mean that, when specialist inpatient care is needed, patients and their families and friends can be together at an ultimately important time of life rather than being separated, as hitherto, by tyranny of distance and difficult accessibility. The achievement follows formation, in June 2014, of Northern Beaches Palliative Care Working Group. This was coincident with the investigation into Northern Sydney Palliative Care needs by Associate Professor Richard Chye. The group provided consistently strong representation and emphatically transmitted the message of need backed by a foundation of community support. In July 2014 Pittwater Council endorsed its unanimous support. The Inpatient Palliative Care facility will be housed in a new structure on the Mona Vale Hospital Campus, as yet to be determined, but will be placed in an optimal position for a special purpose structure. An Inpatient Palliative Care Facility allows a higher standard of care than in a Hospice and allows, among other services, for assessment, symptom control and end of life care. 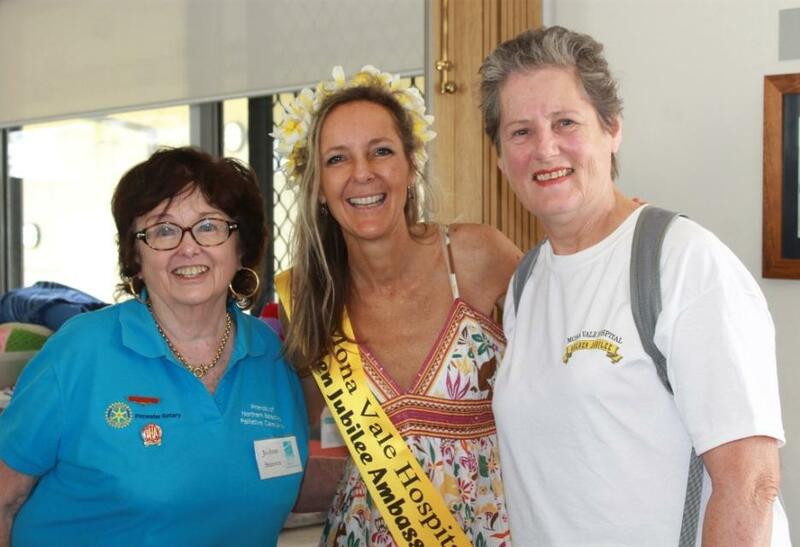 Jo-Ann Steeves, President, Friends of Northern Beaches Palliative Care United Hospital Auxiliaries NSW Inc., with Chelsey Baker Mona Vale Hospital Jubilee Ambassador, and Eunice Raymond Chair Save Mona Vale Hospital Committee - Picture by A J Guesdon, 2014.